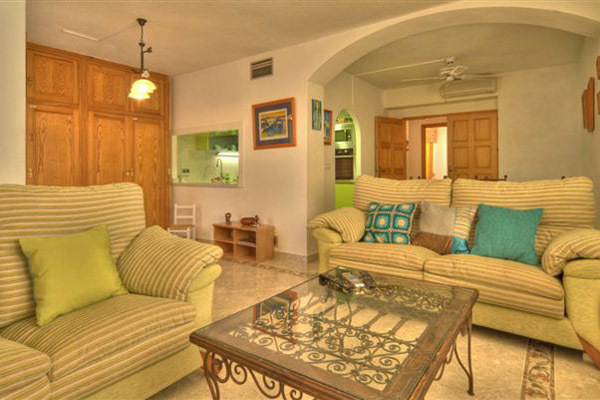 One bedroom, first floor apartment at Bellaluz with a central plaza and large community pool. Free wifi. 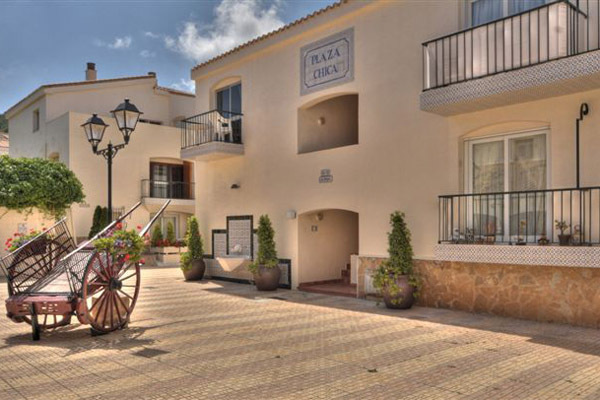 Well located within La Manga Club Resort, the Bellaluz apartments are built around a central plaza with shops, restaurants and bars. Residents can enjoy the large children’s pool and a 25 metre swimming pool, set in community gardens and terraces with a poolside bar which is open during the summer months. 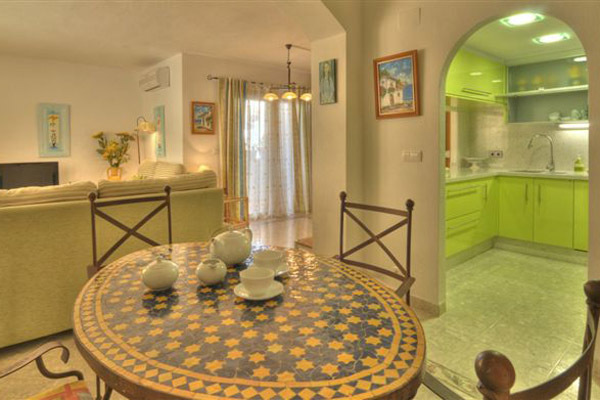 This one bedroom apartment is on the first floor overlooking a square and has a terrace with outdoor dining facilities. Free wifi internet access. 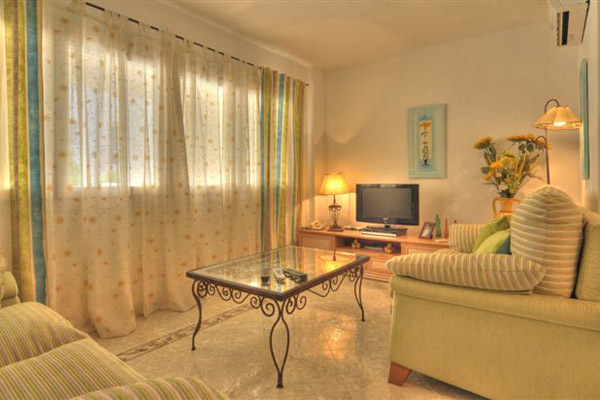 The apartment is on the first floor and accessed via 7 steps, with an open plan air conditioned living and dining room, which has satellite TV, DVD Player, CD player and a telephone for free internal calls within the Resort. 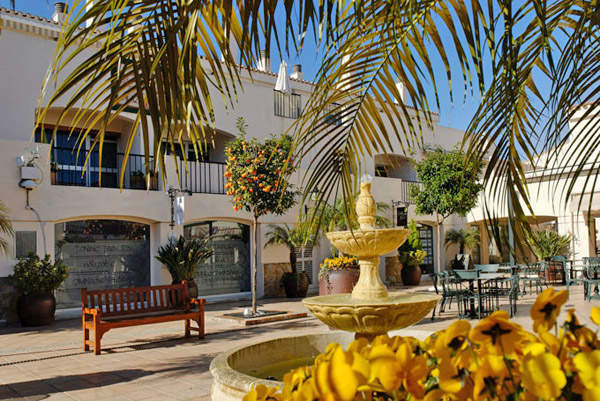 Patio doors open to a terrace with outdoor dining facilities overlooking La Plaza. 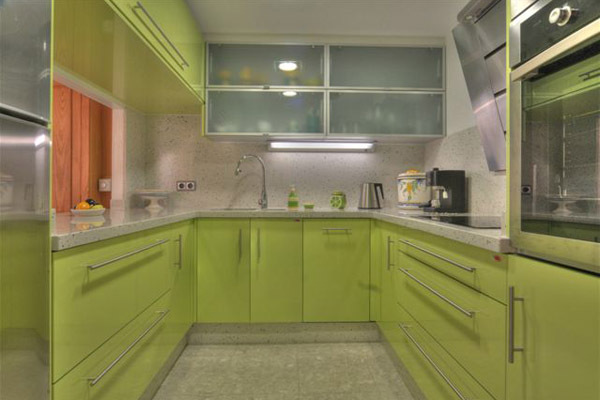 The kitchen is equipped with washing machine, oven, hob, extractor fan, microwave and fridge freezer. 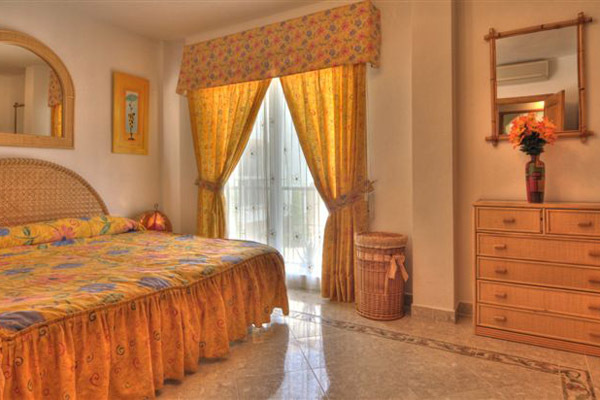 The large bedroom has a twin beds which can be made into a double bed if preferred and patio doors to a small balcony. 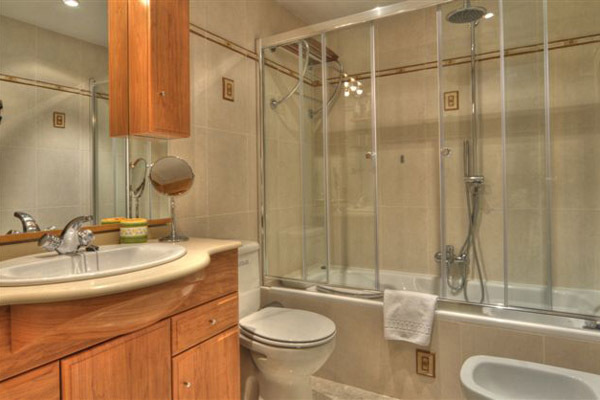 There is a separate full bathroom. 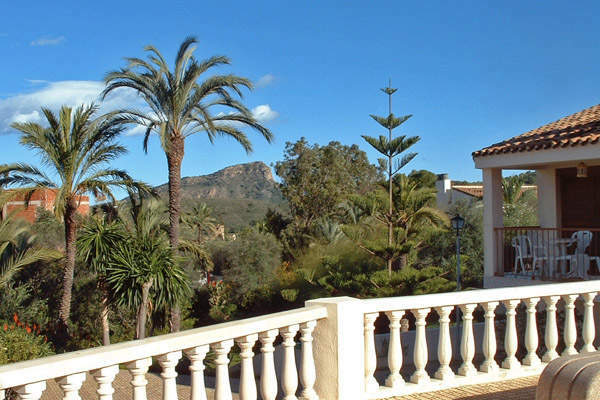 In La Manga Club Resort and conveniently located near restaurants, bars, cafes and shops. Full air conditioning is included in the prices for all seasons. 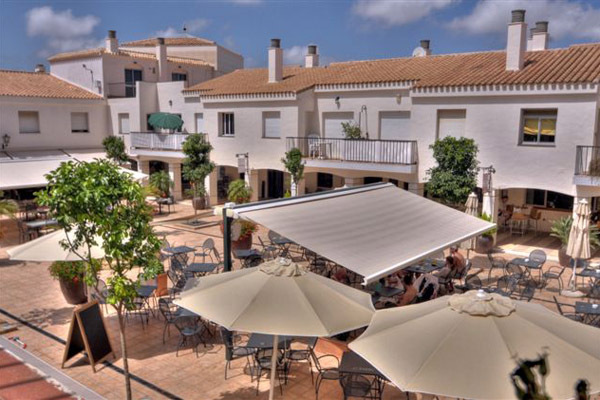 m>Walled terrace with barbecue and outdoor dining facilities. Use of large community pool and gardens.